JUST ARRIVED!!! 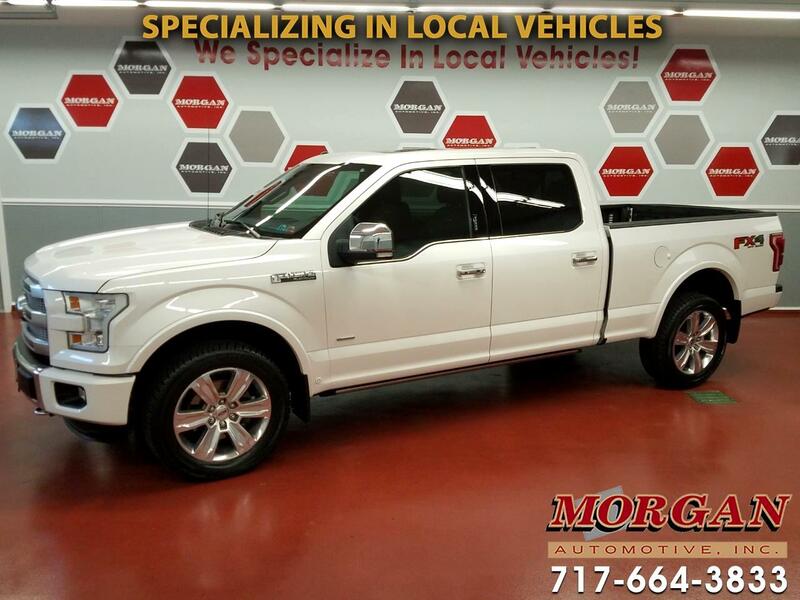 ****FULLY LOADED 2015 FORD F-150 PLATINUM SUPERCREW 4WD WITH ONLY 29,000 MILES! ****CLEAN CARFAX****PANORAMIC MOONROOF****NAVIGATION****This truck is loaded with luxury, state-of-the-art technology and performance! Powered by Ford's industry leading 3.5L Ecoboost twin-turno engine this truck comes with the heavy duty tow package with trailer brake controller, spray in bedliner for your towing/hauling needs. Appointed with heated and cooled front row seats, heated second row seats, heated steering wheel, 3-driver memory seat, power folding mirrors, remote start, Ford Sync touchscreen infotainment center with Navigation and AM/FM/XM/USB/AUX/Bluetooth radio with Sony sound system, LED lights on side mirrors, adaptive cruise control, blind spot information system, cross traffic alert, rear park aid, 360 degree camera, power adjustable pedals and power release tailgate with tailgate step. Has a new PA inspection and fresh oil change. Comes with the balance of the factory powertrain warranty with options to extend coverage for additional peace of mind. Trades are welcome and financing is available.